“A New Life”, the second book in the Easilang series, tells the touching story of a young couple who move their family far away from home to begin a fresh career in England. 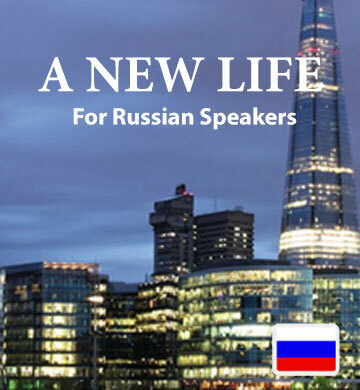 Russian speakers will be moved by the difficulties the characters overcome, and inspired by the success they build for themselves in their adopted country. Each chapter of this downloadable ebook and its accompanying audio track deals with the challenges of everyday life, offering usable, relevant vocabulary in an easy, natural manner. As you go through the book, you’ll gain a working understanding of each word you encounter, helping you feel comfortable with the English language. Your download also includes the Easilang mobile app, which is an easy way to keep learning wherever you are, with the help of your phone or tablet.